Melodic Metalcore 6 piece from Birmingham, comprised of, Jay Smith (Vocals), Dave Plimmer (Bass), Tom Knight (Growls), Rob Bonnell (Guitar), Sam Nathaniel (Guitar) and Josh Hill (Drums) with an age range of 17-23..you wouldn't know that they were so young judging by their creative mature sound..it just proves how talented these guys are! The band are planning to record full album in January 2011 and to tour in March/April with planned dates in Nottingham, Stoke, Brighton, London, Manchester and Edinburgh. And are also looking to get on the bill of as many festivals as they can..this band is very determined and ambitious which will most definitely pay off, as they are a mighty metal act and have all the key ingredients to succeed and I for one can't wait to see them live! Their 6 Track EP, titled, "Our Enemies Leave Roses". which is also the name of the title track, has a great balance of menacing screams and melodic singing, and a nice breakdown, which shows great musicianship!..Such maturity and talent from this youthful band! "Down Among The Deadmen" is a damn good track!..melodic, clean in parts with a mellow/soothing/beautiful intro..then a brilliant switch into fast heavy guitars! This is best track in my opinion..I can imagine this song gracing the likes of Kerrang, Scuzz and Lava TV, as they sound so professional. This track has all the elements of a mighty metal anthem! !..Will be hard to get this song out of your head! It displays excellent guitar work, and is another fine example of the talent of the 2 guitarists, Rob and Sam..as with the 2 vocalists, Jay and Tom, both pairs compliment each other extremely well,proving just how good their musical abilities are..and this will only improve as the band go on!..2 strong powerful vocalists, 2 exceptional guitarists..equals one heavy as hell and talented solid metalcore band with a lot of depth!..Not too mention the the equally talented Bassist, Dave and drummer, Josh!..A very tight unit! "Tested On Humans" is very heavy indeed!..In parts sounds like slipknot or perhaps more early/heavy stone sour..which is a great compliment in my book! "Euthanasia" shows a more sensitive, different side to the band,in this beautiful ballad-esque song with soothing clean vocals, which towards the end erupts into some serious shredding accompanied with some serious screams then back into the ballad..this shows they can be diverse also and is very well composed..This is a Must!! I'm very excited about this band and what their future holds..They are definitely in my list of favourite new bands and one to watch out for in 2011!! 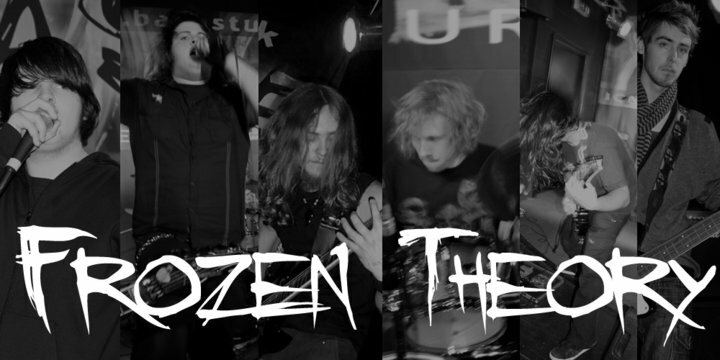 In 'theory' this band has proved they have what it takes to make it..so with that said there is no doubt that this bands future is set to be as solid as unbreakable ice and things are going to be heating up for the band!